Meeting at members' homes, programmes include outings, picnics, guest speakers and the occasional Bible study. The emphasis is on social interaction and building friendships. Connections is a social gathering of 30+ year olds (some more + than others! ), who meet once a month for a mixture of sedentary and more active events and (usually) food. Connections Plus follows on, age-wise, from Connections. We usually have six meetings a year, either in members' homes or at arranged venues and, again, often involving food! Meetings may include a talk or demonstration from a visiting speaker, or an 'in-house' evening of fun, finishing with refreshments. Despite the name, gentlemen are welcome!! 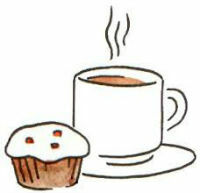 We meet on Wednesdays during school terms for tea and chat and a talk from a guest speaker. Subjects vary from holidays to nature, from music to poetry, from sacred to 'secular' and from the serious to the decidedly light-hearted. 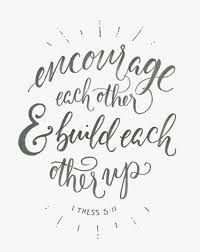 We want to reach out beyond the church and invite you join us on the third Friday of each month at 7.30pm for friendship and a meal. We meet at various restaurants across the local area, suiting a range of culinary preferences. Once a month on a Saturday, our groups take it in turns to run a coffee morning, another opportunity to get to know more people in our community. Coffee, tea and biscuits are also served every week after the 10.30 service.